Available for sale is this Mary Jane variant of Avengers #8 (2017) which is an homage to the classic cover of Avengers #57. 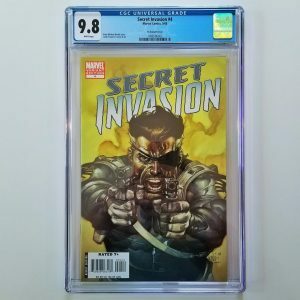 This graded comic is the perfect addition to your comic collection. Grab it today while you can! 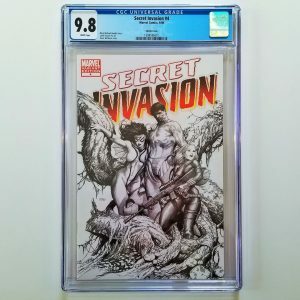 The graded comic listed here was purchased for $30.00. Click here to find others like it! Available for sale is Batman #497 graded in 9.6 NM+ condition by CGC. This is a key issue in the realm of comic book lore, and a must have for any serious comic collector. This was already an important comic book with Bane breaking Batman’s back, but 2012’s The Dark Knight Rises pushed the collectability of this book even higher. 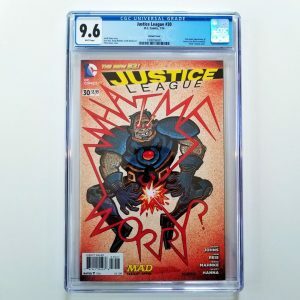 Available for sale is Batman #635 graded in 9.6 NM+ condition by CGC. This is a key issue that features the first appearance of Jason Todd as Red Hood. 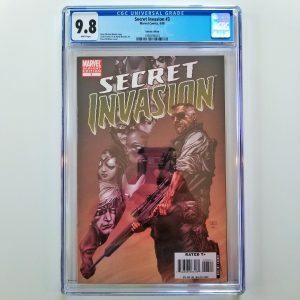 Don’t miss out on the chance to add this key comic to your collection today! Available for sale is the first printing of Black Hammer #1 graded by CGC in 9.6 NM+ condition and published by Dark Horse Comics in 2016. 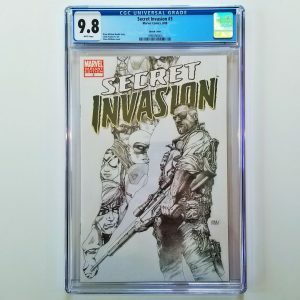 According to the CGC Census, there are only 70 copies of this comic graded 9.6 or higher. Add this highly collectible, hard to find comic to your collection today!